I've been sick lately, and I'm having a hard time with my anxiety and depression again, but today I'm finally posting my review of the Tosowoong Pure Blueberry Mask. This mask is supposed to brighten the skin and lighten hyper-pigmentation. The back of the package is in Korean, but I was able to find a translation already posted in Cosdna. 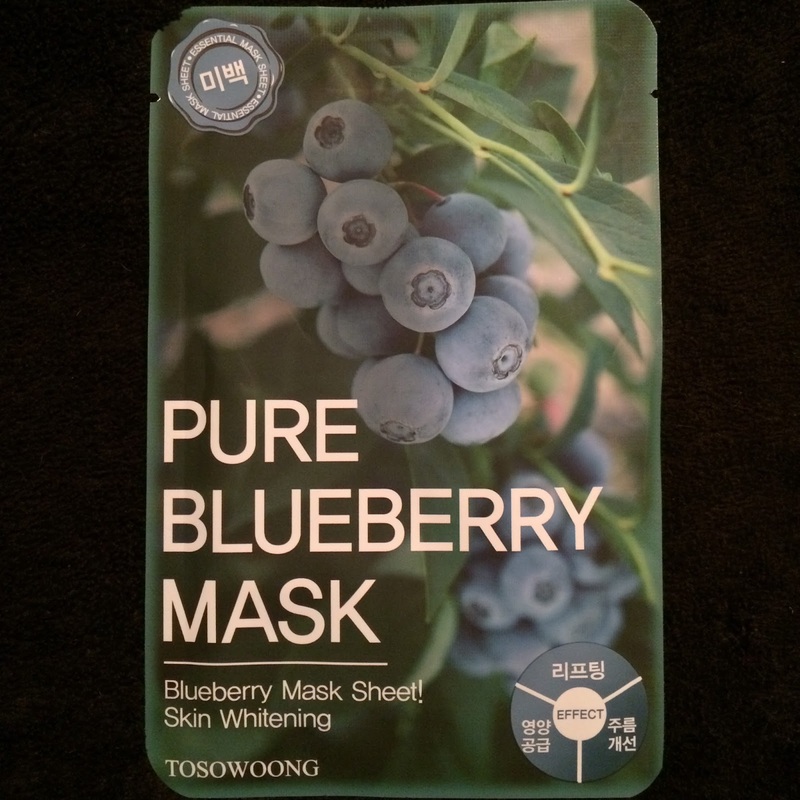 When I opened the mask packet I noticed the mask really smelled like blueberries, it was a wonderful scent that was not irritating at all, and did slowly disappear by the time I got it situated on my face. The mask had a good fit on my face (I did fold it over because I had just finished coloring my hair), but did leave a tiny gap around my nose - this is very common and not a concern for me anymore. The material was soft and clung to my face well. 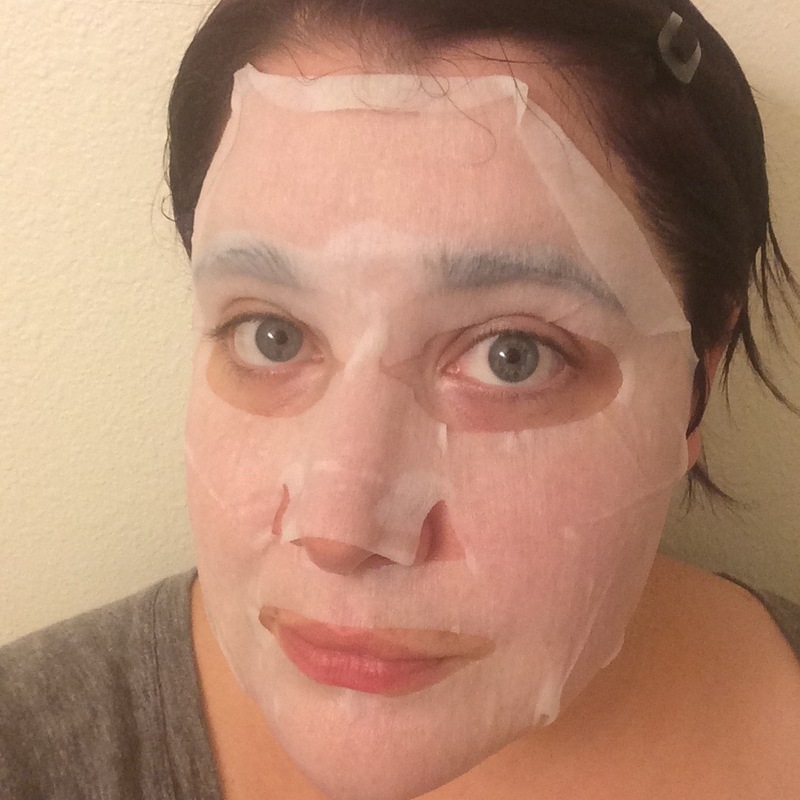 This mask felt cooling on my face, and after removal my face did appear to be brighter. 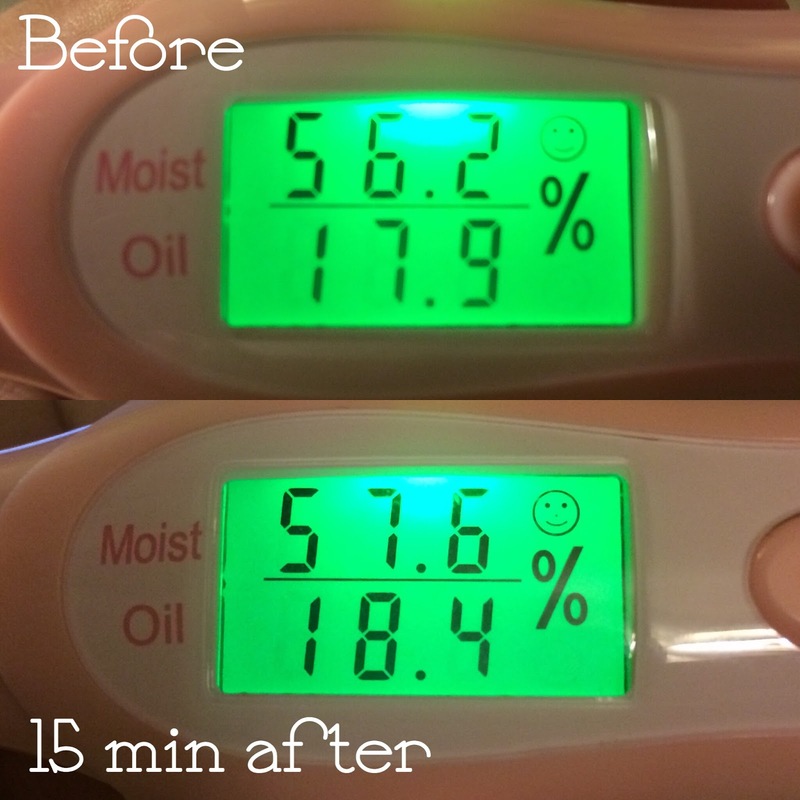 I did feel like my face was more hydrated afterwards but after checking my skin, it really didn't add much moisture to my skin. This mask was nice to wear, and I did enjoy it. While it doesn't add much hydration, I would recommend this mask to anyone looking to help brighten their complexion or any dark spots/scarring. 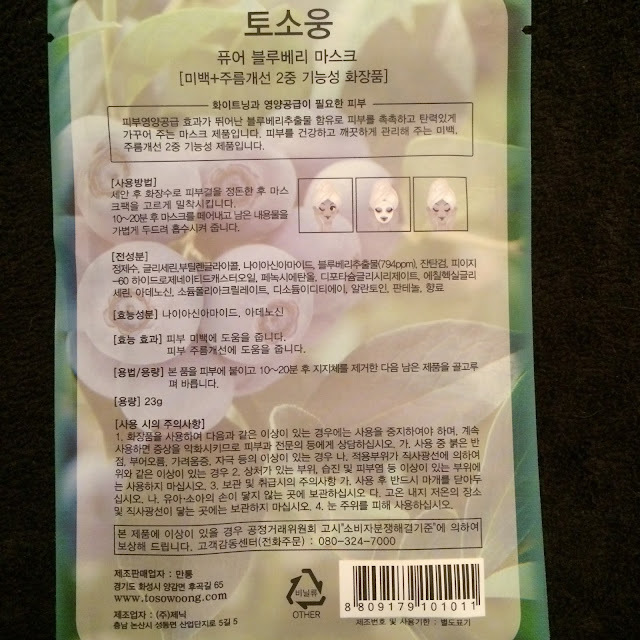 You can find this mask on Peach & Lily, WishTrend & Memebox USA (affiliate link). What a unique mask with the ingredients. I love that it has a cooling effect when you put it one. I never realized there were so many face masks like the ones you showcase. The only ones I knew about are the ones you put on then wash off. I really should try one of these. I've never heard this before, looks pretty. This sounds like a great mask! I love that it smells like blueberries!